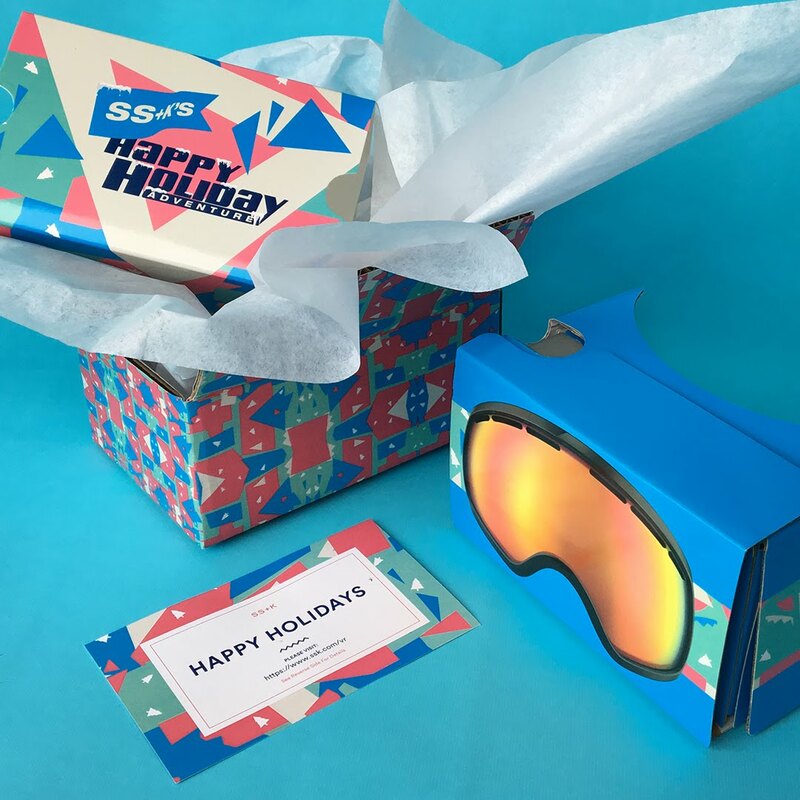 This year, SS+K is breaking free of the traditional flat holiday card stack by offering 360° virtual reality bobsled rides. A few folds will turn the 2D card into 3D VR glasses for the recipient to take take their seat in the bobsled. After sliding through banked turns, jumps, an upside-down loop and more jumps, the bobsledder will bash through a bank of snow at the finish line where they are greeted by cheering polar creatures that they’ve encountered along the way. The virtual world consists of beautifully simple 3D polygonal assets that make up a colorful winter wonderland. With the cardboard glasses, users will be able to engage a slow-motion effect at any point throughout the experience to get a better look at the playful world around them. At any point throughout the run, snow will fall if the user shakes their head.